What’s It About? 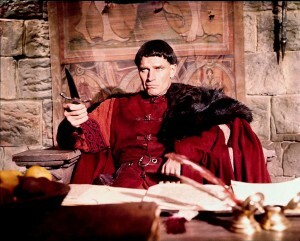 Honoured knight Chrysagon (Charlton Heston) takes over a castle tower located in the swamplands of Normandy to strength his duke’s position of authority. Yet he begins to grow weary of the constant bloodshed that reeks havoc in the new world. Chrysagon struggles to maintain power thanks to pagan villagers, barbarian attackers and his brother’s jealous counsel, who feel him unfit to be their leader in these times of brutality. Verdict: Director Franklin Schaffner and Charlton Heston hit the big time thanks to Planet Of The Apes, yet three years prior to that they teamed up to make this romping piece about the Middle Ages. The War Lord may look a bloodthirsty movie from the outside, but after a while it develops into a story about love rather than war. Chrysagon and his beau Bronwyn fall in love rapidly, but then the script stands still on furthering their relationship and moving the story on towards its climax. 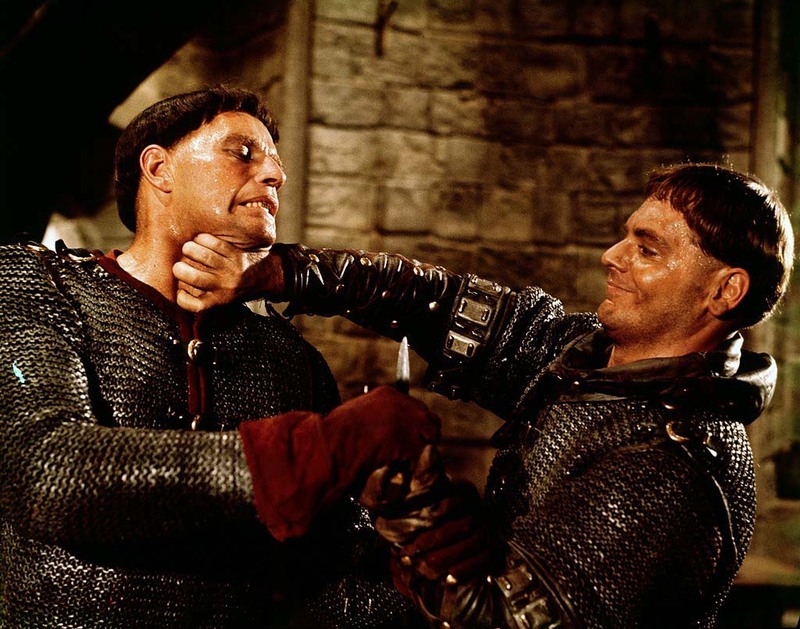 It’s these messy moments that the film can’t pull away from, instead choosing to make it the reason that so many begin to dislike those at the top of the castle rather than the senseless rampaging from the band of ruthless knights. Surely the townsfolk would be more annoyed at the carefree killing than the love of two unknowns? 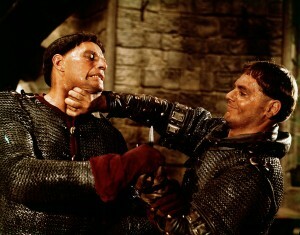 When the townsfolk do finally revolt, and battle scenes come into play Schaffner tries to give it all he has, yet with minimal numbers on either fighting side and the sword play eerily reminiscent of plastic swords in the playground, the film just can’t make it as unrelentingly bloodthirsty as it should be. Many of the sets sway or judder as the actors walk or fight on them, making it all look rather cheaply made. Charlton Heston continues to be able to one play his main character in just one style (much like many of his other film roles). His slow, drawn-out speeches feel more like a bedtime story than a man issuing orders. His sword work is sluggishly heavy-handed as if he can’t pick up his sword. Heston only seems comfortable when he’s romancing Bronwyn, Rosemary Forsyth, who is on the receiving end of one of the most underwritten leads of motion picture history. She is the reason the knight wants to change his ways, yet Forsyth receives about ten lines of dialogue and even then she struggles with it. Extras: Sadly this re-release is lacking any real extras. We’re treated to the original theatrical trailer and also an isolated music and effects track. However, the release does come with a glossy booklet that includes a new essay on the film and some rare archival imagery. Final Words: A plodding story about redemption that lacks any fire between the two leads and poorly misuses the action set pieces. Schaffner struggles to convey the enormity of the situations that are taking place; instead there is little real emotion until a finale that wastes a great opportunity to redeem the film. The War Lord is released on Blu-ray by Eureka! Entertainment in the UK on 14 April 2014.